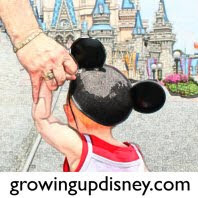 Growing Up Disney: Photo Flashback: Remember The Big Red Boats? Long before The Disney Cruise Line sailed, in October 1992, Mom and I sailed on our first ever cruise on Premier Cruise Line. Premier's boats were known as The Big Red Boats and Premier was The Official Cruise Line of Walt Disney World. Our first voyage was on Premier's SS Atlantic booked through Disney Travel. ﻿ We did a second cruise on Premier less than a year later and took Amy, Ridge and several friends and relatives. The second trip was on the second Premier cruise ship, the SS Oceanic.